So here's a confession about me: I didn't really cut loose or run wild in high school. I know, that's totally shocking, but the truth is that for as much as I was dipping my toes into metal and anarchist philosophy in the mid-2000s, I wasn't really a wild kid. A big part of that was sports - I was huge into track & field and I basically managed to drag all of my D&D group along with me onto the team - a big part of it was my own academic ambitions - I went to university out of province to study physics of all things, I needed high grades - and if you couldn't tell by the previous D&D reference, I'm a huge nerd. Coupled with the fact I went to a private Catholic school with a graduating class of less than forty kids that was really too small for many cliques, I was involved on the debating team and a bit of musical theater, and my parents gave me a considerable leash to prove my responsibility, which included access to a car, I didn't really have a drive to rebel that hard outside of a few too many car accidents. Look, the reason I'm saying all of this is that despite liking a lot of the pop punk explosion in the mid-2000s, it wasn't really the soundtrack of my teenage angst... mostly because I wasn't really an angsty kid growing up. Hell, my sullen misanthropic phase was in my second year of university, and the soundtrack to that was mostly Top 40 club hits - it was a weird phase, let me tell you. But it also can make for a fascinating listening experience going back to acts like Japandroids, a Canadian punk duo who dropped their debut album Post-Nothing in 2009 full of scuzzed out guitar work and anthemic crunch that made their material natural for unsettled for teenage emotion, complete with the sharper writing that made them a critical darling nearly immediately. And when they followed it with the even catchier and sharper Celebration Rock, which took much of the lo-fi sound and refined it into more incisive, recklessly exuberance, it looked like Japandroids could go in any direction and still connect with remarkable power. And yet five years later, what did they deliver with Near To The Wild Heart Of Life? Okay, so do you ever have those cases where you can look at something and without even thinking you acknowledge that it's good, but that you know almost exactly how to make it better? It's not something that requires incredible analysis or a deep dive into sonic textures, you just get it in your gut? That's exactly how I felt when I was listening to this Japandroids record, which, yes, is an expansion of their sound into cleaner, more expansive territory but at its core still maintains a lot of its same pathos. It's good, for sure, and longtime fans are really going to like this - but after the third or fourth listen I had the sinking feeling that this could be great and it really wouldn't even be difficult to get there. So for a change let's start with the lyrics, where arguably the least has changed: this is still very much stories of wild romance, hard drinking, and scattershot musings about no clear sense of place and fleeting times - not the first time the Frank Turner parallel showed up, I should add. And like always, you're not getting a grand story so much as snapshots into a wild life's story and the steps taken to change it, with the opening title track showing how our frontman Brian King found the courage to chase dreams and move across Canada, with the following songs seeming to yank the audience on a whirlwind tour soaked in alcohol and filled with women who flit into their lives for moments before they must carry on. And while I'll always appreciate when Canadian artists actually shout out Canadian cities and locations the same way they do American locations, and I really do love how the bridge on the closer 'In A Body Like A Grave' yearns to dive back into the fray, something about the writing doesn't feel as desperate. Now part of that is to be expected - hell, it almost seems like the band admits it, and between the lines you can tell age is starting to wear on them - but at the same time the writing isn't picking up the complexity that you'd expect when the recklessness gets tempered. The biggest example is the seven-minute behemoth 'Arc Of Bar', which wears its worship for 'Sympathy For The Devil' by The Rolling Stones plainly and is one of the many allusions to New Orleans - where this album was recorded - but beyond tapping into some feverish imagery about seedy bars and fried religion and some great lines about mosquitos, it doesn't quite coalesce. But indeed, I'd say that about a fair amount of the instrumentation too, which is opting for a larger, more expansive, more diverse sound but doesn't seem to go far enough to decisively add flavour - or to put it another way, 'Arc Of Bar' might be set in New Orleans, but it's not like we're getting something from Tom Waits or something analogous to what Marc Cohn did on 'Walking In Memphis'. 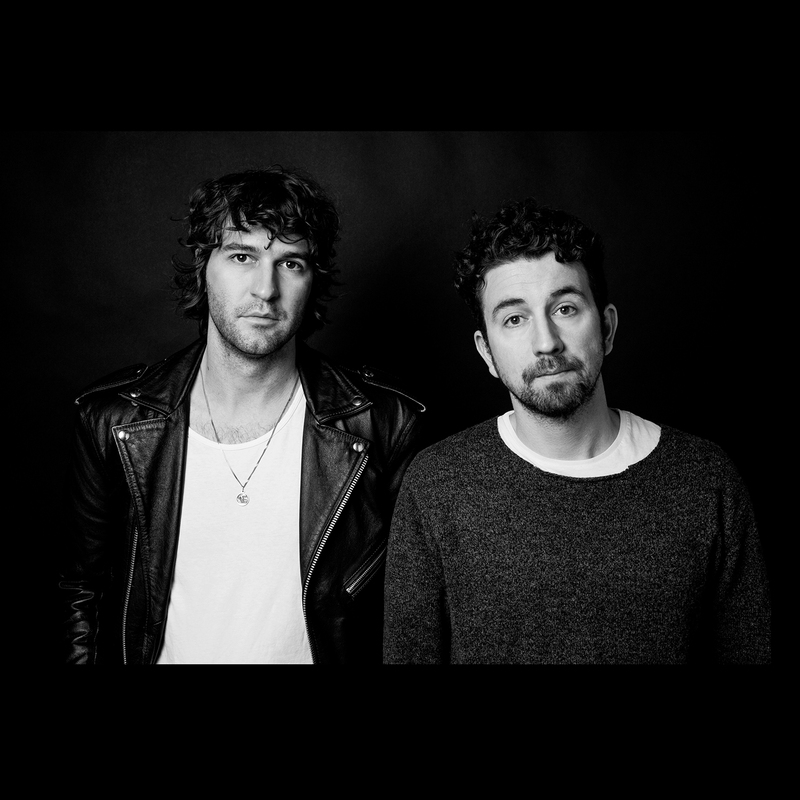 For Japandroids, venturing into adding synths or even a bass guitar is a very calculated affair, and on a song like 'Arc Of Bar' it makes the buzzy, fragmented additions not quite gel with the far more decisive and rock solid guitar-and-drums formula. And that's important to emphasize, because at its core Japandroids still are delivering some blisteringly fast and energetic rock music, with scuzzy textures anchoring the low end, strong hooks, and some impressively explosive drumwork. But for as good as this core formula is, there's something about every step away from it that feels painfully calculated and not particularly well mixed either, especially in the too-clean backing vocals all over this record. I actually don't mind the cleaner acoustic line that anchors 'North East South West' - again, there's enough beneath it to give it something of a modern Frank Turner vibe, which I like - but when you go to songs like 'True Love and a Free Life Of Free Will' that seems to push that balance to its breaking point between cleaner tones and vocal fuzz, or the oddly muddy drum production on 'No Known Drink Or Drug' that seems to break into a hook that's too conventional for the rest of the song, you get the feeling that Japandroids are trying to fuse the best of their old style with new flourishes and both feel compromised. And that's not counting 'I'm Sorry (For Not Finding You Sooner)', which drowns the vocals even further and seems to simmer in flat waves of fuzz and more than ever just feels lyrically undercooked. And that's another thing: there are some songs on a compositional level that just feel a little unfinished or underserved like 'No Known Drink Or Drug' or 'True Love And A Free Life Of Free Will' or even parts of the jangling 'Midnight to Morning' that I otherwise like but could have been improved with a little more reckless exuberance, either in the writing or the composition. And nowhere is that more apparent than in Brian King's vocals. Now we'll put aside the occasionally jarring backing vocals that feel too clean to match well with King's delivery - that's more of a production issue and more evidence that former mixer for The National Peter Katis might be a tad too reserved for Japandroids. But the larger issue is that King often feels too reserved for his own songs - and not just in the feeling that raw grit seemed to have been sanded and polished off his delivery, only to be fixed in post through lo-fi vocal pickups, but that there are hooks where he just underplays instead of getting as wild as he could. And sure, maybe that comes with age and looking to play with a little more reserve to match his instrumental... but that's the thing, with the aggressive tempos and drumwork, Japandroids still are sticking with a formula that would demand a singer who goes harder or who at least is willing to howl a little more. Here... the earnestness and solid vocal melodies and irresistible hooks carry through a lot, but I'm convinced that a few moments could hit a lot harder than they do. But look, as a whole I like this album. Again, I don't love it - I wish King had pushed harder, I wish the band had found a way to marry the more expansive gloss with their solid core a little better, I wish the lyrics tapped into that recklessness with a little more purpose or brought the insight to anchor maturity - but again, for a record that feels so transitional as this one does, I'm not exactly surprised here either. But at the end of the day, I'm not going to discount how catchy, energetic, and genuinely fun this project was for me, so it's getting a light 7/10 and a recommendation, especially for Japandroids fans who have been waiting a while for this. I don't promise you'll love this more than Post-Nothing or especially Celebration Rock - I certainly don't - but it is an intriguing step to wherever this band is going next, and I think I'm along for the ride... for now. album review: 'chill, dummy' by p.o.s.